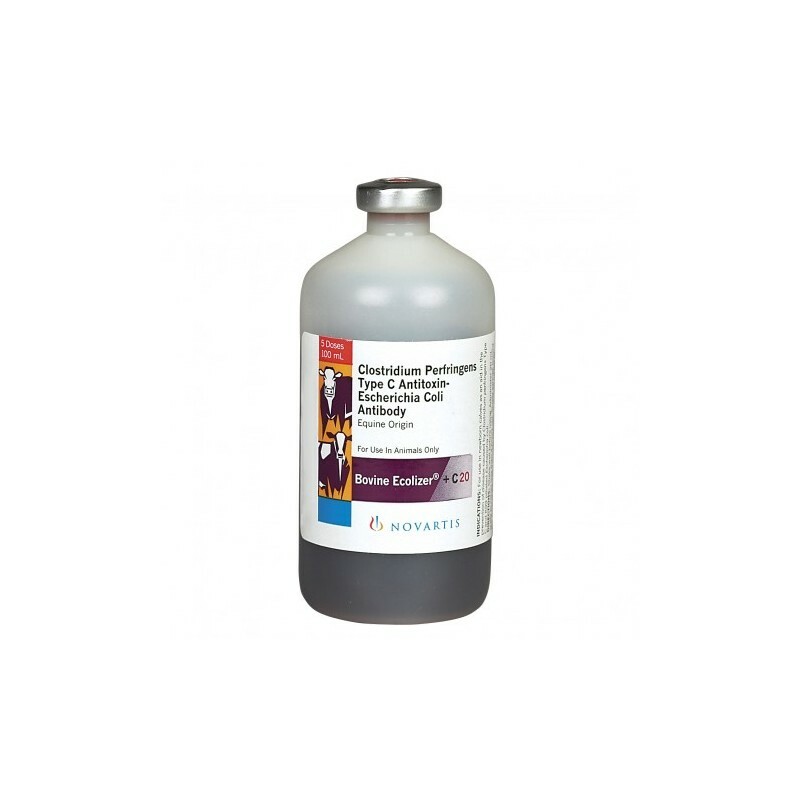 Novartis - For use in healthy calves as an aid in preventing E. coli (K-99 strain) and Clostridium type C. 21 day withdrawal. Shake well before using. Administer 20 mL orally to calves less than 4 hours old. Slowly syringe toward the back of the calf’s mouth. Colostrum should be fed to each calf. Bovine Ecolizer+C 20 features a 20-ml dose. The efficacy of the new Bovine Ecolizer+C 20 remains as good as its predecessor and continues to be an effective aid in the prevention of neonatal diarrhea. 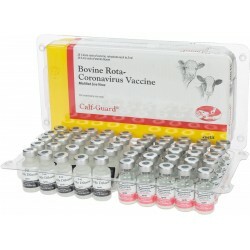 It provides the newborn calf with direct, pre-formed antibodies against enterotoxigenic strains of K99 E. coli and C. perfringens Type C toxin. 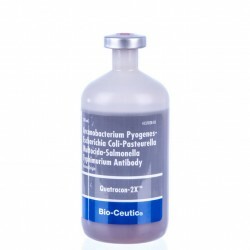 Proven protection — Based on time-tested antiserum technology and are proven to protect calves against severe and lethal challenges of K99 e. coli or Clostridium perfringens Type C.
Immediate protection — Goes to work immediately, providing supplemental antibodies to calves that are at high risk for scours. Highly susceptible calves to consider are those with unknown immunoglobulin levels, those that have survived a difficult birth and those from first-calf heifers. 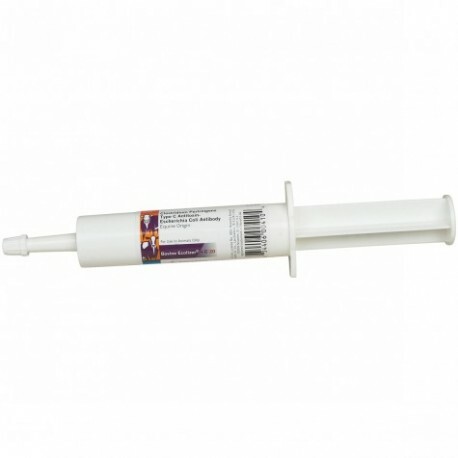 No needles — Administered orally to newborn calves for less stress and Beef Quality Assurance compliance. 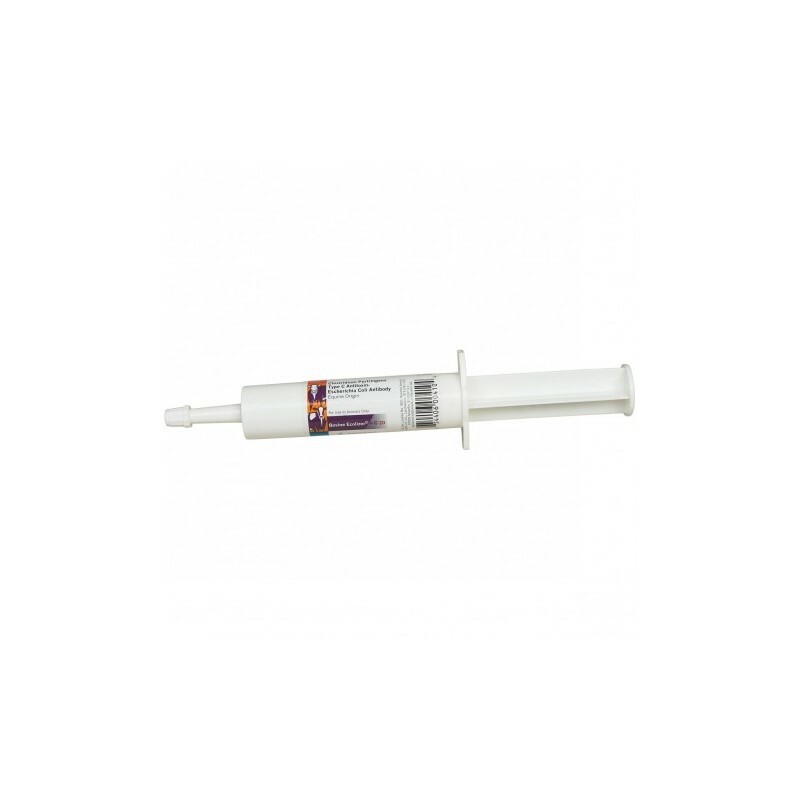 Convenient and versatile packaging — Available in single-dose presentations to reduce potential animal-to-animal transmission of disease, or 100 mL, multi-dose vials for a more economical solution.